telling stories. He became a news anchor at age 22, when he was still a college student, and remained in journalism for 21 years. In 1993 he left WFAA-TV in Dallas to devote full time to Quin Mathews Films, telling stories through television, film and radio about business, culture and the arts. 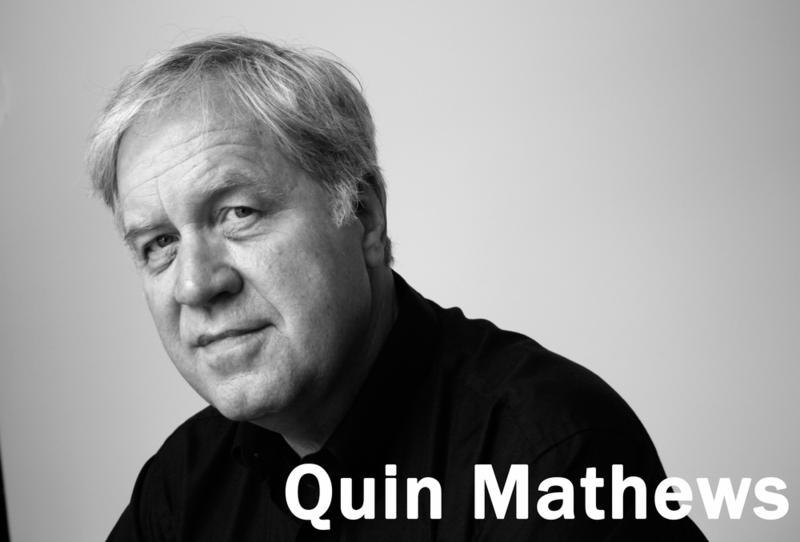 Quin has shot documentaries around the world on subjects like emerging artists in China, folk churches in Mexico and solar power in Africa. His films about art have shown in major museums in the United States, Asia and Europe. In 1988, with radio partner Sharon Benge, he co-founded the program “Art Matters,” which recently concluded its 25-year run on WRR. While on the air, the show aired more than 2,500 interviews with artists, musicians, and other people across the world who have shaped our culture. Honors include the Legend Award from the Dallas Contemporary and the Lifetime Achievement Award from the Business Council for the Arts. He has, over the years, reported on the legacy of the Kennedy assassination on air and for the Sixth Floor Museum in Dallas through the perspective of one of the thousands of people who came out to greet the president on November 22, 1963.